Ukraine’s future has seemed to hang on a precipice ever since its decisive Euromaidan Revolution in 2014 and the ouster of Putin crony Viktor Yanukovych. This year, Ukraine’s tumultuous polity will be shaken once again as the country heads to the polls: March 31st will mark Ukraine’s first post-revolutionary election. Petro Poroshenko won the 2014 Ukrainian presidential elections, held immediately after the revolution earlier that year. Popularly nicknamed the “Chocolate King,” Poroshenko is best known for being a major business magnate in Ukraine who owns the popular Roshen confectionary factory. An early financial backer of the Maidan protestors, Poroshenko quickly rose to the scene on a reformist, pro-European agenda appealing to broad swaths of the Ukrainian centre. He handily won the election in a crowded field of weak candidates, earning a majority in the first round of voting, and thereby preventing a runoff election. Poroshenko’s tenure has seen mixed success. He has decidedly pivoted away from Ukraine’s alignment with Russia, adopting harsh rhetoric and a pro-Western foreign policy to oppose Vladimir Putin. A controversial decommunization effort, criticized for undercutting basic civil liberties, proved the most visible shift away from over a century of Russian control. 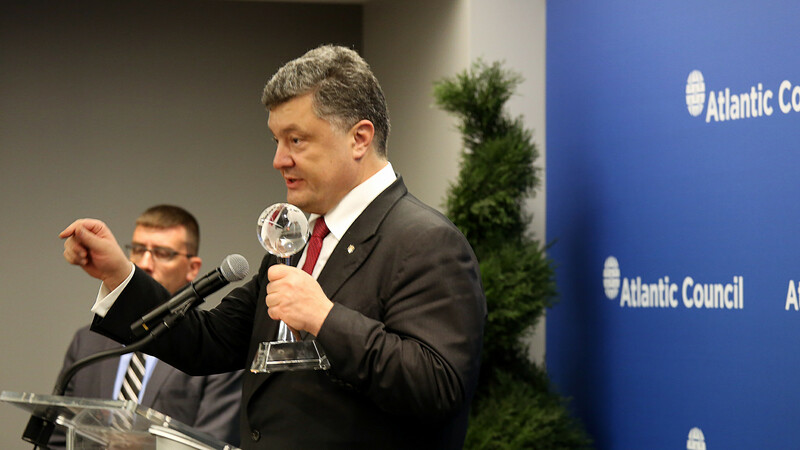 Poroshenko also pledged to quickly end the war with pro-Russian separatists in the east. But the conflict has become a grinding stalemate, and there’s little hope that the territories will be retaken soon. Poroshenko made international headlines by declaring a state of national emergency following the Kerch Strait encounter with Russian warships in November. Though critics decried the move as a cynical power grab months before this election, Poroshenko hasn’t made moves to exploit his executive power; rather, the entire affair barely touched daily life. Perhaps most crucially, Poroshenko has moved to combat corruption and enhance political freedom in one of the least transparent countries in Europe. Many reforms have simply been too slow to matter. The few that succeeded face an uncertain future. An innovative public procurement platform, Prozorro, has been lauded for its initial effectiveness at reducing graft. But Prozorro has already met fierce opposition by unscrupulous parliamentarians threatened by its open-source promise and might eventually crumble in the face of persistent attacks. The National Anti- Corruption Bureau, a promising international effort to achieve judicial justice for Ukraine’s grifters, has been too effective for its own good: it threatened enough government officials to lead to an armed struggle in downtown Kiev, replete with automatic weapons. Most recently, Poroshenko has faced another hit on his political ambitions: accusations that his government bought smuggled Russian military equipment for the Ukrainian forces at a huge markup. Though the president has made strides to control the damage, the scandal will hurt his reformist credentials and undermine his anti-corruption agenda. Poroshenko’s expansive reform efforts have seen areas of success without bringing about a major shift in living conditions that many had expected from the optimism of the post-revolutionary moment. An unexpected insurgent in Ukraine’s (literally) vicious political arena, Zelenskiy is an outsider to the shadowy power networks of the Ukrainian elite. A comedian on a popular political satire show and self-made businessman, Zelenskiy has rapidly risen in the polls to become the frontrunner in this presidential race. Many see a vote for Zelenskiy as an opportunity to cast a protest vote against the impending nihilism of the post-Maidan disappointment that has characterized Poroshenko’s term. 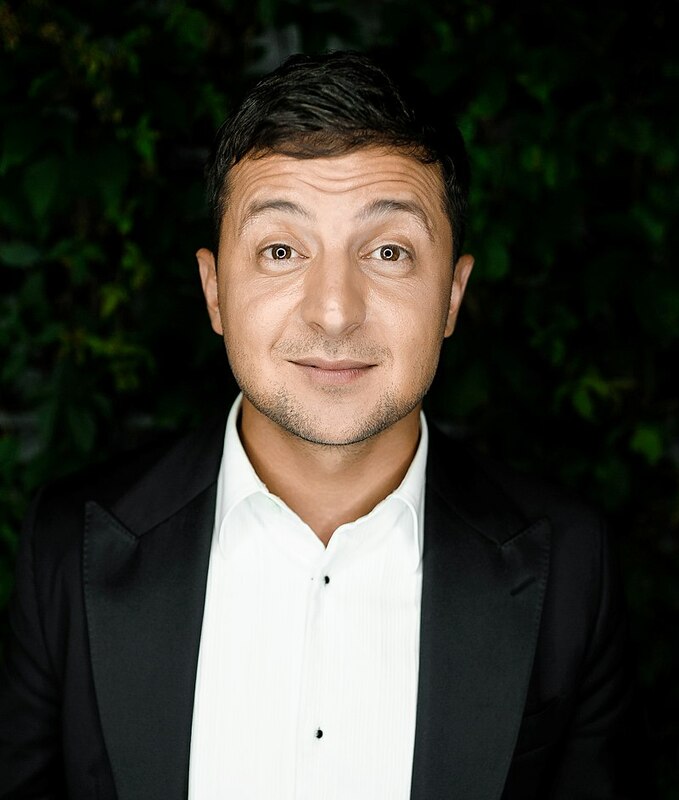 On his TV show, Zelensky plays a provincial teacher who becomes president after an anti-corruption rant goes viral. In substance, it seems that his presidential run might not be much different from his television personality. His party was named after his TV show – Servant of the People – and his primary appeal to voters goes little beyond outsider-populist sentiment. Zelensky isn’t a part of the deeply corrupt Ukrainian establishment, and he exploits his outsider status for political ends, marketing himself as a way for voters to change the status quo. Though he’s first in polling as of this article’s publishing date, he still faces big obstacles that might be more relevant if he qualifies for the runoff vote (a likely outcome). He’s been criticized for a cozy relationship with unpopular oligarch Ihor Kolomoisky. The notorious businessman has been embroiled in countless corruption scandals. His closeness to Zelensky hurts the candidate’s anti-corruption credentials. Moreover, Zelensky has come under heavy criticism for reports that his companies earn money from Russia via offshore accounts. That doesn’t play well in a political field where anti-Russian campaigning is a prerequisite for the job. A force to be reckoned with, Tymoshenko has a storied history in Ukrainian politics. Best known as the first female Prime Minister of Ukraine (serving in the late aughts), her political career was undercut by a politically-motivated corruption conviction; as a result, she was sent to jail for seven years. Tymoshenko was released and rehabilitated in the post-Maidan fervor, and quickly mobilized to run for president in 2014. She managed to come second to Poroshenko in the 2014 election, trailing him significantly. Despite messy corruption scandals in the gas industry in her past, and ongoing attempts to paint her as Putin-friendly, Tymoshenko has continued to be an effective populist in the Poroshenko age. She riles up crowds with firebrand anti-austerity politics and doesn’t shy away from radicality, calling for Poroshenko’s impeachment and railing against the prevailing order. Tymosheko has long been associated with a pro-European but conservative stance that other candidates stay away from. The viability of her candidacy is uncertain. She doesn’t always poll strongly, but she remains a contender for the runoff vote. Unlike Zelensky, she enjoys a national political infrastructure through her Fatherland party – a key advantage in mobilizing voters to head to the polls. She’s also vulnerable to corruption scandals of her own. 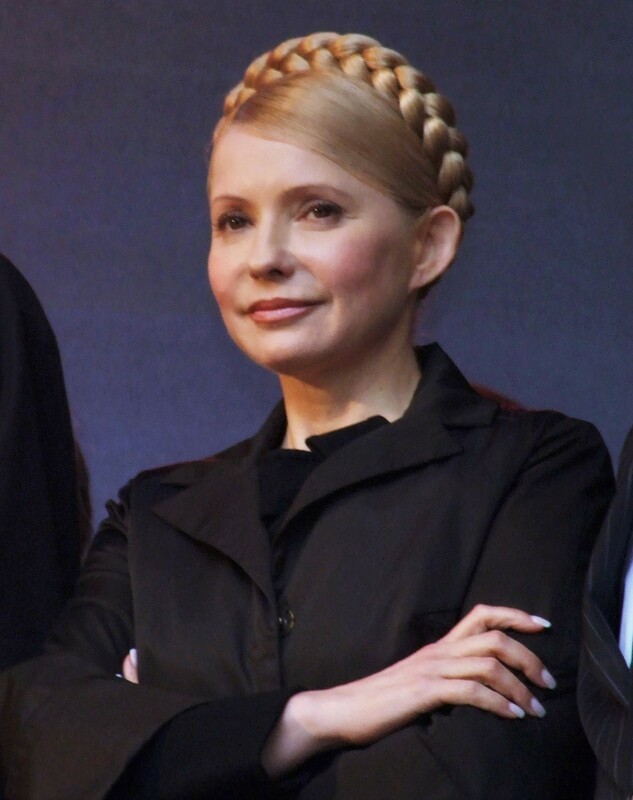 Aside from the skeletons in her closet from the 1990s, Tymoshenko was recently accused of receiving a string of large and suspicious donations. These claims not only bring credence to allegations of connections to Russia but are also a liability in an election where voters seek to express their displeasure with continued corruption. Ukraine’s presidential election follows a two-round system (think: France). If a candidate doesn’t receive more than 50% of the vote, the top two candidates face off in a second round pursuant to the first. Zelensky commands a sizeable lead in almost every poll. The real race so far seems to be to decide who will face him in the runoff round. Poroshenko and Tymoshenko, both unpopular candidates with high “negatives” (% of people who have a negative opinion of them), have been fighting for a spot in the runoff election. Poroshenko recently edged ahead of Tymoshenko, but the defense spending corruption scandal might reverse those gains. After all, corruption and the war in the east remain the most pressing issues for voters. History also brings a gloomy portent for Poroshenko’s candidacy: never has an incumbent been a frontrunner in a Ukrainian election. Perhaps a bigger question concerns the outcome of the runoff. The polls are much less clear when considering pairs of candidates that might face-off in the second round. But so far, Tymoshenko seems to beat Poroshenko (an unlikely pairing) – and Zelensky beats either of them. That might be a worrying prospect for Ukraine’s nascent democracy and fragile institutions. Without any political experience and lacking relationships with Ukraine’s shadowy web of power brokers, it is unclear how capable a Zelensky administration would be in power. Even countries with healthy political systems and strong institutions have trouble dealing with populists in office, and Ukraine might be thrown into turmoil once again if its government fails in the face of crisis. 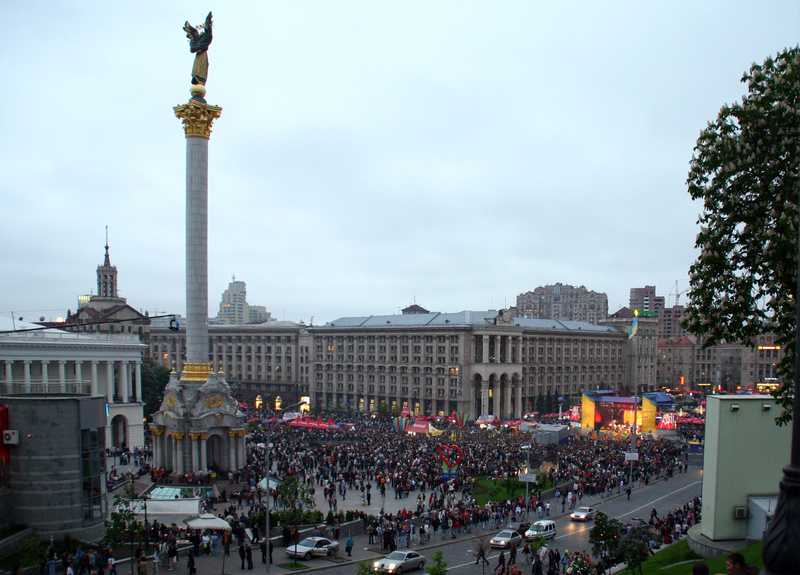 Regardless of the outcome, this election has major significance for Ukraine. It’ll test how a post-Maidan society can deal with a democratic transfer of power after the dust has settled and things are back to normal. Crucially, 2019 marks the first election where the main political cleavage is no longer a battle between pro-Russian and pro-Western forces; that debate seems to be settled in today’s Ukraine. Putin will inevitably put a thumb on the scale for the least objectionable candidate, and Ukraine will have to grapple with interference from its eastern foe. But most importantly, Ukrainians will vote in this election in a country still striving for a better future and upholding liberal democratic values. If anything, this election won’t hurt their resilience. Nikita Buchko is a U2 student currently pursuing a degree in Political Science and Economics alongside a minor in Management. He specializes in Eastern European foreign policy, particularly regarding former Soviet states. Aside from writing for MIR, Nikita loves to go shopping for home decor at Winners.